Joe Sgroi is a restructuring, bankruptcy, and commercial transactions attorney who deals with corporate financial difficulty and complex supply chain disputes. In what are often complicated, fast-paced and constantly evolving situations, he finds ways to deliver value by providing creative solutions with the client’s business goals in mind. Joe represents a wide range of businesses from different industries, including automotive and manufacturing. 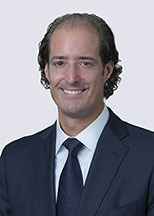 Joe is the leader of the firm’s Bankruptcy, Reorganization, and Creditor Rights practice group and has extensive experience representing debtors, creditors, creditors’ committees, customers, lenders, and equity holders in bankruptcies, financial restructurings, liquidations, and out-of-court workouts. Joe has particular experience representing U.S. and non-U.S. based original equipment manufacturers (OEMs), Tier 1 and 2 suppliers, and automotive startups in a wide range of areas, including business arrangements related to the development and implementation of autonomous vehicle technologies. Joe is a member of the firm's Board of Directors and also serves as one of the firm’s Chief Value Partners, where he leads Honigman’s efforts to deliver value to its clients on a consistent basis, including through the implementation of legal project management, process improvement, and knowledge management, as well as the use of alternative fee arrangements and value pricing. Acts as lead counsel to the Independent Manger of FirstEnergy Generation, LLC, the owner and operator of multiple fossil generation plants, in connection with the Chapter 11 restructuring of FirstEnergy Solutions Corp. and its debtor affiliates.• Acts as lead counsel to the Independent Manger of FirstEnergy Generation, LLC, the owner and operator of multiple fossil generation plants, in connection with the Chapter 11 restructuring of FirstEnergy Solutions Corp. and its debtor affiliates. Serves as lead counsel to a medical device startup company in connection with its prepackaged Chapter 11 restructuring and proposed debt-to-equity conversion and capital raise. Acts a special counsel to Sorenson Media, Inc. in its Chapter 11 bankruptcy case with respect to corporate, finance, commercial and other critical issues affecting the company. Serves as lead counsel to Kraus Carpet Inc. and its debtor affiliates in connection with their Chapter 15 bankruptcy cases and the sale of substantially all of Kraus’ assets to Q.E.P Co., Inc. and Roberts Company Canada Ltd.
Joseph R. Sgroi's work with the Detroit Blight Authority is profiled in The American Lawyer article "Cleanup Crew"
Joseph Sgroi honored as one of DBusiness magazine's "30 in their 30s"